Closely-followed hedge fund manager David Einhorn, the CEO of Greenlight Capital who is taking aim at Apple over its massive $137 billion cash hoard, just wrapped up a conference call with Apple shareholders.Greenlight has been urging Apple investors to vote “No” on Apple’s Proposal 2 in its proxy later this month that will eliminate the company’s ability to issue preferred stock. 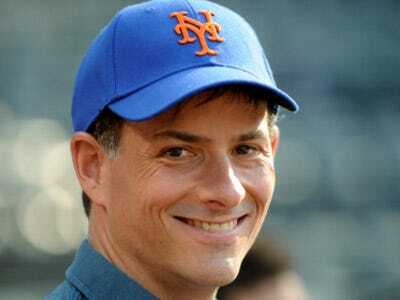 Einhorn is also battling the tech giant in Federal District Court in Manhattan. Essentially, Greenlight says Apple is attempting to bundle three reforms, two of which he would normally support, into one provision and Einhorn thinks that violates the SEC’s proxy rules. The New York Times’ Michael de La Merced reported that the federal judge is leaning in Einhorn’s favour after a hearing on Tuesday. Apple’s CEO Tim Cook called Einhorn’s lawsuit a “silly sideshow” during the Goldman Sachs Tech Conference in San Francisco earlier this month. Greenlight owned 1,582,006 shares in Apple (275,000 of those are call options) at the end of Q4, according to a 13F filing with the SEC. We’ve included all the highlights below.